NCFM Members Active in Review of California’s Child Support Guidelines, arguably another form of government sanctioned homicide. After complaining about paying child support Gary Scott Holland was charged for killing San Francisco socialite Kate Horn. In Santa Ana William Gregory Mordick was tried (and convicted) for the cold-case homicide of his estranged wife over a $124,000 child support bill. In Santa Ana Richi Omandi was sentenced to 25 years to life for drowning his 4-year-old son in a bathtub after discovering that his wages would be garnished to support his son and ex-wife. In a case I investigated, Derrick Miller, of San Diego, a decorated retired Navy veteran, walked up the steps of the downtown courthouse holding divorce papers in one hand and a nine-millimeter automatic in the other. Derrick told the guard, “You did this to me!” Miller had recently been ordered to pay onerous child support; child support he did not owe. Derrick pulled the trigger splattering brain fragments across the wall. Like many other parents, usually fathers, death was the only option left. In California, child support is calculated based on a formula or “Guideline”. California law requires the child support Guideline to be reviewed every four years to make sure it results in “appropriate” orders. This “Review” is, by law, to include citizen input; hence focus group consultation is required. However, the problem arises: If the “powers that be” want to maintain the status quo, but the people who actually have to live by the Guideline (i.e., the focus groups) want real change, what do you do? First, even though the law requires it, “focus groups” are not always consulted. Of all the Reviews from 1993 to 2011, only 2001 and this current one (2011) included focus groups input. 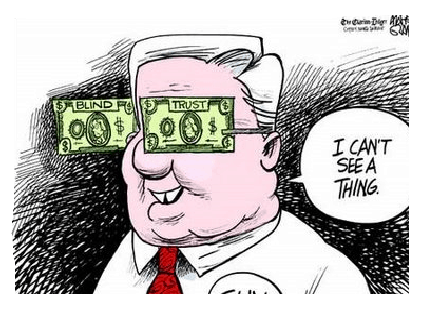 When people are not given an opportunity to voice concerns, it’s easy not to hear dissent, see pain, and avoid reality hiding behind politically correct rose-colored glasses, even if doing so is malfeasance. Second, even when the people have been given the chance to speak through focus groups, the comments from those who speak up are generally ignored. For example, in 2001, focus groups reported that child support was the source of increased litigation over child custody and/or visitation. This was (is) because the way the Guideline is written, child support will go up or down in direct relation to custody/visitation. In other words, the Guideline that was created to reduce child support litigation ended up increasing custody/visitation. The People spoke then, but nothing was done. So, although, the final Report did record the parents’ input raising legitimate issues, no Recommendations were made to do anything about them. The Judicial Council is charged with conducting such Reviews. This review process is critically important to millions of Californians; or, it should be. The final report is presented to the Legislature as an authoritative report on how the Guideline is working. Forthcoming laws are largely dependent upon the report. I participated along with several other interested parties in the 2010/2011 California Child Support Guideline Review Burbank Focus Group. This focus group and others were video recorded and with a court reporter. There are numerous questionable recommendations in the current Draft Report, and Chapter 6, Input from Stakeholders is factually incorrect, and misrepresents input from focus group attendees. These glaring deficiencies have been brought to the attention of the reviewers, several times. Requests for copies of the record were made yet a copy has not been forthcoming. At this point, it appears the deficiencies will not be corrected, which suggests the misrepresentations are intentional. In general, focus group participants very deliberately and clearly communicated that the current Guideline is fundamentally flawed. It does not work except as an extremely profitable full employment opportunity for governmental and professional stakeholders. It increases litigation of child custody/visitation, is a great source of conflict between parents, burdens family members with horrific legal costs, and often results in abusing children by dramatically increasing conflict. In fact, for some, the current guidelines cause death. While killing yourself or another person should never be a solution to a government imposed system, no government imposed system should leave citizens to contemplate that as their only solution. If citizens petition their grievances to the government, the government has the obligation to respond. In Burbank, attendees made it clear that the child support Guideline is a financial incentive to separate parents from children and is akin to an unfair prison sentence. No Recommendations for solving problems noted above are contained in the Draft Report. There’s no mention of homicide or suicide even though the issue was brought up during the Burbank focus group. Could this sort of “input” be reasonably omitted? Moreover, the stakeholder chapter reports of focus group input are frequently incorrect. Even though the majority of participants in the Burbank meeting said that child support should not be based on a percentage of a parent’s income, but rather on the Actual Cost of Raising a Child, the Judicial Council’s research contractor reported that “One participant in Burbank agreed with this viewpoint, but most of the other participants in Burbank felt that this method would be unreasonable” (p. 118). In fact, the common unifying theme of most attendees of the focus groups reportedly was the basis of the Guideline should be the actual cost rather than a percentage or shared of income. Attendee voices should not silenced, minimized, or misrepresented. Allow me to digress and put things in perspective, in December, 2009 foster parents were paid up to $513 per child and somewhat higher for special needs children. That’s the actual cost of raising a child according to the State of California. That’s the State’s “guideline”. So in California, we have one guideline of what is reasonable financial support when the State has to foot the bill, and another Guideline (capital “G”) of what children “need” when the courts order dad (or increasingly mom) to pick up the tab. In all fairness, there should be one standard of what a child “needs”, especially when the government is forcing a citizen to pay. Arguably, the foster care amount could be used as the highest amount that the State could compel for child support. This too was presented by the People. Such an idea should have at least been thoroughly examined within the Draft Report as an outcome of focus group interest, explanation, and advocacy; regardless of whether the reviewers agree with the concept or the concept is counter to the vested interests of child support industry operatives. Instead, the Draft Report relegates this stakeholder input to little more than a footnote (p. 25) and concludes that any further discussion is beyond the scope of the study. Also, to put things in perspective, at the focus groups, attendees were given a survey with several questions concerning legislative mandates and child support policies, which concerned the cost of raising children, imputing income, standard of living, education, reducing conflict, custody, parenting time, fairness, and treatment of low income parents. In any other professional review, one would expect the report to put the survey results in a readable form and interpret what they mean. Interpretation of the data in those surveys should have been included in the Draft Report. Objective interpretation of the data will show that the current Guideline does not meet legislative directives. This information should have be used to bolster comments from focus groups thereby strengthening the conclusion that current Guidelines are in need of substantial revision. How it is possible that a highly paid professional researcher with expertise in child support reviews can miss fundamental research techniques when it comes to reporting what citizens had to say is difficult to comprehend. On the other hand if there was a reason to not want to hear what the People have to say, then this makes a lot of $en$e. Times have changed. Contemporary family constructs differ substantially from those when the current Guidelines were implemented. The current Guidelines are archaic at best and fundamentally flawed for meeting the needs of society today. They glaringly do not satisfy the legislature’s directives. As one attendee notes, “Had the input from focus group attendees been reported accurately, a reasonable Recommendation would have been to ‘form a diverse task force representing all stakeholders (rather than just court users) to explore the possibility of updating the Guideline in more than just a superficial manner.’ This process should be conducted publically, transparently, and on the record.” It should lead to substantial reforms beneficial to all, particularly our children. One death is one too many. Sanitizing the Guideline Review is profitable for stakeholders, like undertakers, but dangerous for families in need of help and children in need of their parents. How many lives are you willing to trade for divorce industry jobs? How about yours? Does that sound reasonable? If not, maybe you should help fix this mess by demanding that the Judicial Council and Legislators, sort it out and make it right, make it right for of all of us, rather than industry operative cronies. One Response to NCFM Members Active in Review of California’s Child Support Guidelines, arguably another form of government sanctioned homicide. Uh, this sounds like someone who didnt like the output of the calculator. Yes, the guidelines put a financial price on how much custody a parent assumes. But think of it this way: the calculator ENCOURAGES the parent who would trend towards being the Non-custodial parent to assume a share of childcare responsibilities and therefore increase (theoretically) their involvement with their children. IE there is a financial INCENTIVE for 50 50 custody. Is this a bad thing?? ?